To get the best out of your business you need to broaden your approach, grow your customer base and increase your brand visibility. Media marketing plays a big part in this. On average, around 2.5 per cent of marketing emails result in click-throughs. 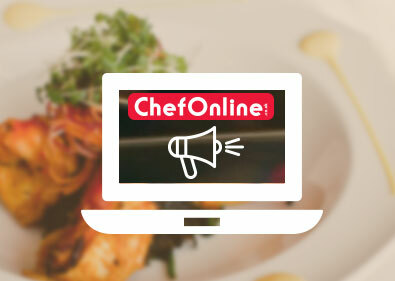 This might not seem like a lot, but when you consider the fact that ChefOnline enjoys a large and ever-growing marketing database, this translates to a lot of potentially lucrative click-throughs for your business. As part of our email-marketing package, we provide email templates on which you can build your own campaign. We will work with you to create a bespoke service that not only generates business, but also promotes your brand. Statistics now show that around 65 per cent of emails that are opened are viewed on smartphone devices, making smartphone users particularly valuable targets for marketers. With this in mind, our email templates are fully optimised for mobile viewing, maximising the potential for this type of campaign. We also offer text-marketing campaigns, in which promotional information is delivered directly to the customer via an SMS. Again, you select the content of the message, deciding whether you want to promote an upcoming event, a new dish or a special offer. Everyone and their dog are on social media nowadays, and your business can benefit from this. Our team will work with you to produce a social media campaign that suits your business, whether by promoting deals and events directly, or by creating shareable content, which effortlessly expands your customer base. Restaurant businesses throughout the UK benefit from social media marketing campaigns every day, so make sure your business is not left behind!